Tree With Golden Foliage By The Road In Mountains. Wonderful.. Stock Photo, Picture And Royalty Free Image. Image 109273694. 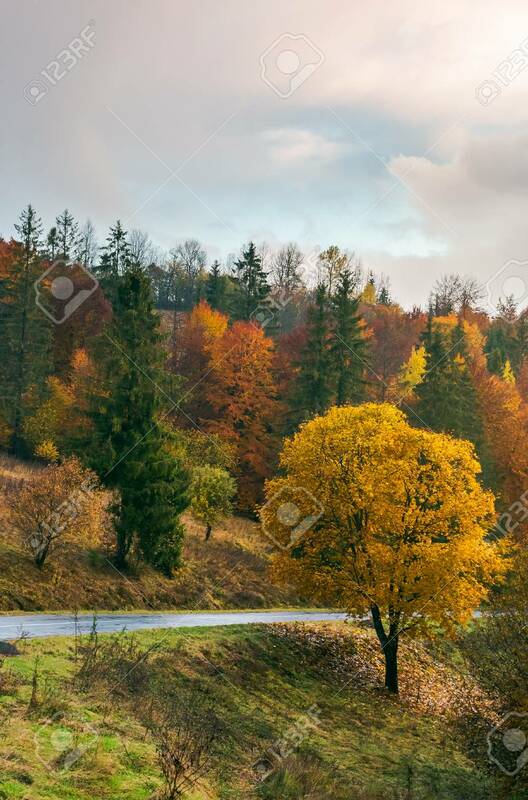 Stock Photo - tree with golden foliage by the road in mountains. wonderful fall season scenery.